List of diesel small cars with the least waiting periods! Waiting periods for diesel vehicles have risen along with their demand in the recent past, especially for small cars. CarToq spoke to dealers across the country and found out which diesel small cars you can buy within a month. Two diesel hatchbacks that have long waiting periods include the Maruti Suzuki Swift and the new Hyundai i20. The Swift diesel has a waiting period of up to two months in Delhi, three months in Bangalore and four months in Chennai. The new i20 has a waiting period of up to two months in New Delhi and Bangalore and a month in Mumbai and Chennai. There are some diesel hatchbacks which are ready for delivery within a month. For those of you who can’t wait, here’s a list of cars with the lowest waiting periods. 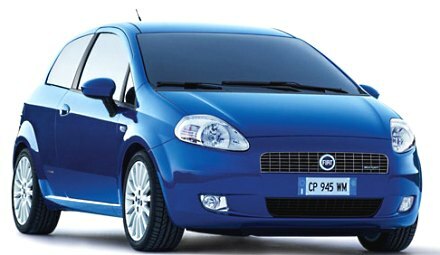 The car that originally brought the 1.3-litre multijet engine to India, the Fiat Grande Punto, is available almost off-the-shelf at dealerships where stock is available. In cases where there is no stock, it can be made available in one or two-week’s time. The Punto diesel is priced between Rs. 5.17 lakh and Rs. 6.84 lakh (ex-showroom Delhi). The 2012 Punto diesel launched in January this year comes with improved ground clearance, powerful AC and standard music system across all variants though there are no changes in mechanicals. The car is robust and is one of the best-looking in the segment, but suffers a negative image among buyers due to inconsistent after sales and service. The Skoda Fabia has a waiting period of about a week and may take a week more depending on the variant and color you choose. 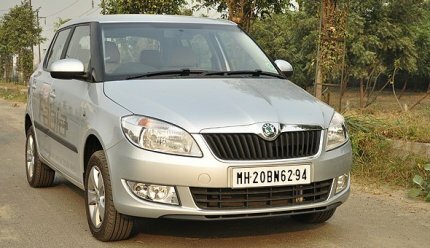 The Skoda Fabia diesel is priced in the range of Rs. 5.57 lakh – Rs. 7.25 lakh (ex-showroom, Delhi). The Fabia is quite loaded with features such as ABS, dual airbags, keyless entry, alloy wheels, MP3 player and front fog lamps. It also features rear AC vents and a spacious rear seat. The Fabia diesel is powered by the same 1.2-litre, three-cylinder diesel engine that powers the Polo, and delivers 75 bhp of power and 180 Nm of torque. The ARAI-certified mileage of the Fabia diesel is 21 kmpl. The Ford Figo diesel has an average waiting period of one week but may extend a week depending on the variant and color you choose. 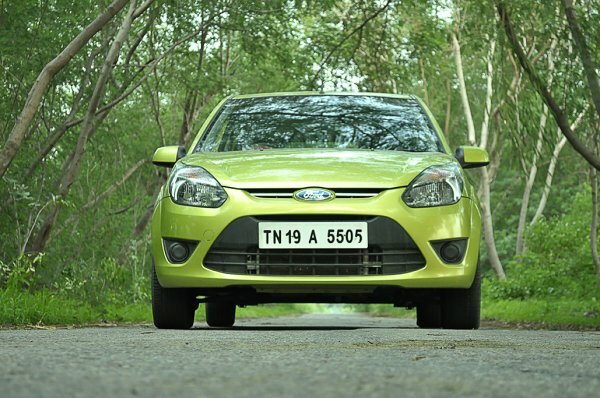 The Figo diesel is priced in the Rs. 4.79 lakh – Rs. 5.94 lakh range (ex-showroom, Delhi). The Figo has features such as driver seat height adjustment, Bluetooth for mobile phone connectivity and music streaming, lane changing indicators, speed sensing volume controls, drive away locks, distance-to-empty meter and programmable keyless entry. The Ford Figo is powered by a 1.4-litre diesel engine that puts out 68 bhp of power and 160 Nm of torque. This engine is well-suited to city driving conditions. The Figo has lots of space, especially for the rear passengers; the boot space is 284 litres and the relatively high mileage of 20 kmpl makes the Figo an ‘all rounder’. 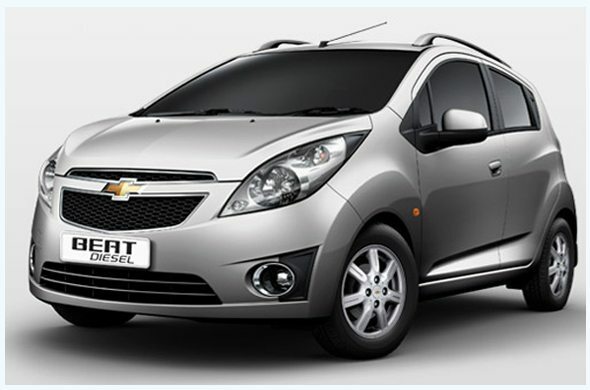 The Chevrolet Beat diesel has an average waiting period of one week and may go up to three weeks depending on the variant and color you choose. The Beat diesel is priced in the Rs. 4.47 lakh – Rs. 5.60 lakh range (ex-showroom, Delhi). Chevrolet also offers a three-year maintenance package for about Rs. 18,000, which covers all kinds of maintenance on the car. 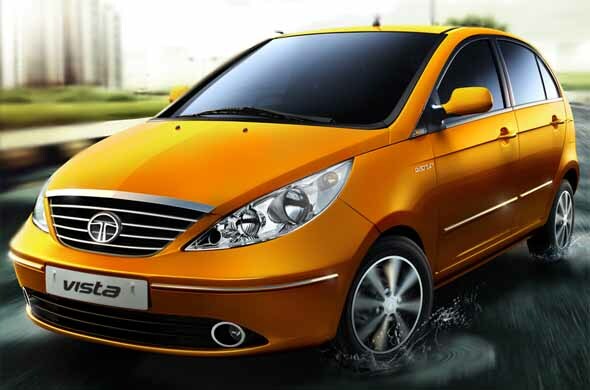 The Vista diesel is readily available in Delhi, but takes one week for delivery in Mumbai. In Chennai and Bangalore, the waiting period extends up to two weeks depending on the variant and color you choose. The Vista diesel is priced in the Rs. 5.09 lakh to Rs. 6.43 lakh range (ex-showroom, Delhi). The new Vista has been improved in terms of interiors, fit and finish, better steering feedback, easier clutch action and gear shifts. The Vista diesel has two engine variants – the 1.4-litre TDI, and the 1.3-litre Quadrajet. The 1.4 litre TDI turbo-diesel engine puts out 70 bhp of power and 135 Nm of torque. The 1.3-litre, Quadrajet, BS-IV compliant motor, sourced from Fiat makes 75 bhp of power and 190 Nm of torque. The Quadrajet engine version returns an ARAI-certified mileage of 22.3 kmpl. Maruti Suzuki Ritz diesel is readily available in Delhi, while in Chennai and Mumbai, the waiting period ranges between 2 – 3 weeks, while in Bangalore it has a waiting period of one week. The Ritz is priced in the range of Rs. 5.18 lakh – Rs. 5.73 lakh (ex-showroom, Delhi). For those of you, who trust the Maruti brand and want a car that has the same engine as the Swift, the Ritz is a good choice. The Ritz has features like central locking, front and rear fog lamps, child lock for rear doors, front seat pre-tensioners, ABS, EBD, tilt steering, steering mounted audio controls and keyless entry. 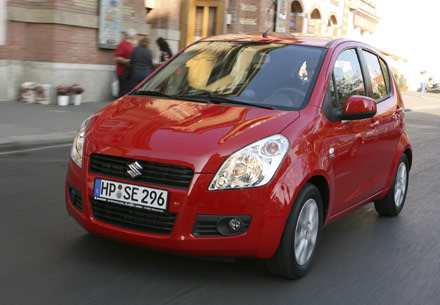 The Maruti Ritz uses the tried-and-tested, 1.3 litre, 4-cylinder, Fiat-derived multijet diesel engine. The Beat’s diesel engine is a derivative of this engine. The Ritz’s engine puts out 75 bhp of power and 190 Nm of torque, and has an ARAI-certified mileage of 21 kmpl. « Question of the day: Hyundai i20 diesel or Fiat Punto diesel?